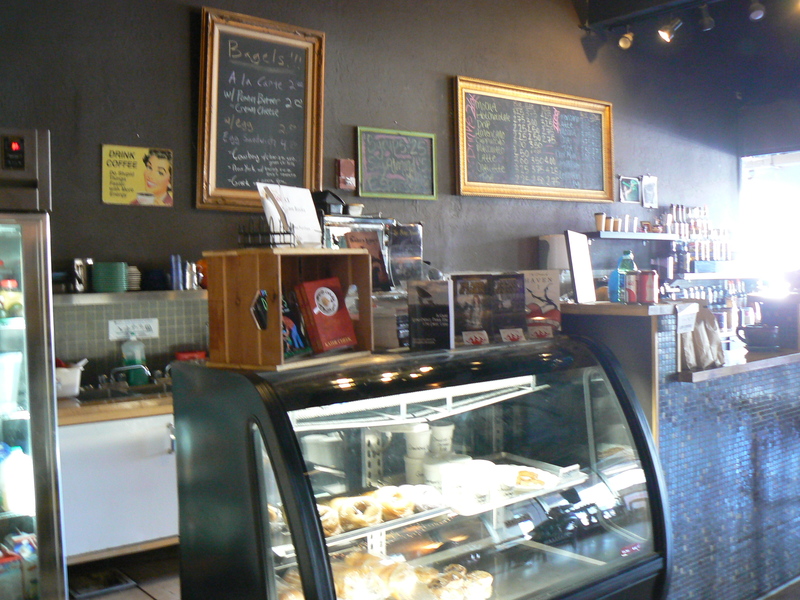 Downtown Mesa hot spot: coffee at a music club, what’s not to love! 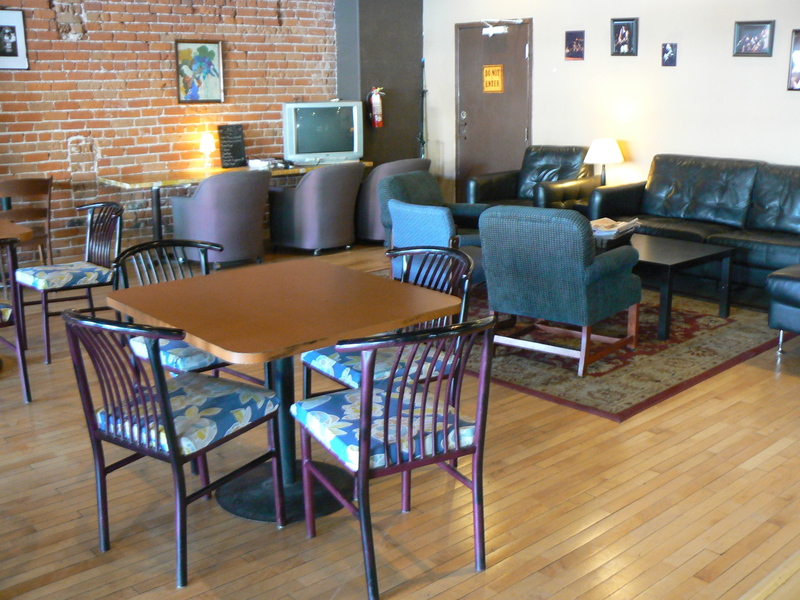 Picture yourself here, relaxing and enjoying a conversation, or some fine local music. Ahh! 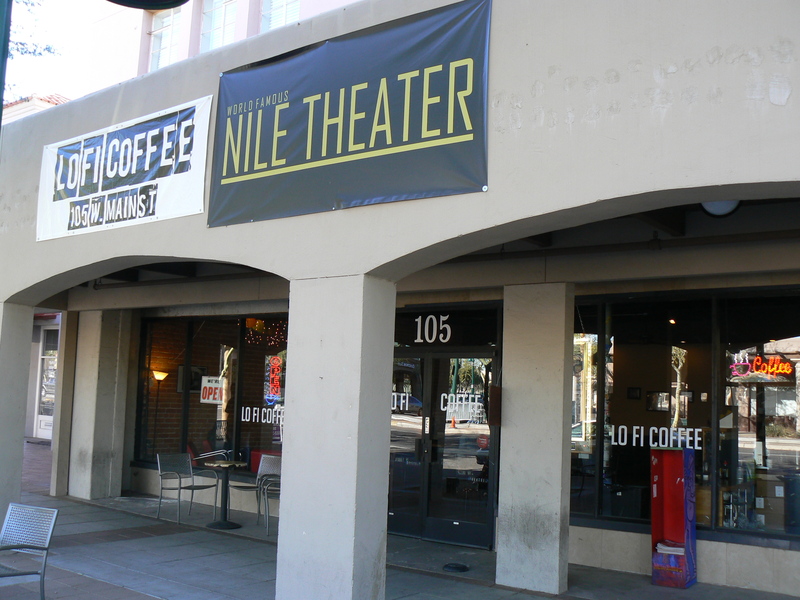 Co-owners Sam Clark and Randy Denton formed the idea for Lo Fi in December 2010 when they discussed opening up a coffee cart inside of the “front room” of The Nile Theater, an all-age rock club in downtown Mesa, AZ. The coffee cart concept eventually evolved into a coffee shop and, thus, they turned a dark lonely storefront on Main St. into a coffee shop. They first flipped on the open sign on June 14, 2011. “Lo Fi” Coffee comes from the term low fidelity. Low Fidelity is often a term related to vinyl records, describing the scratched and flawed sound one often associates with them. The idea is engrained in the coffee shop decor and environment. You know you want a home-made bagel and a fresh-roasted cuppa to improve your day. Specialty coffees made with hand-roasted beans from Randy’s Xanadu Coffee Co., located behind the Phoenix Farmers Market in downtown Phoenix, AZ. As its owner operator he has roasted coffee since approximately 2009. Nothin’! It may be called Lo Fi, but a more appropriate name might be “Hi Fi,” because this place certainly serves up a high fidelity experience. Start with its affiliation with the Nile Theatre. Cool.